Here's a few rhyming poems about rain for your enjoyment. Most of them are fairly short, three are for children and the last one is a funny one. 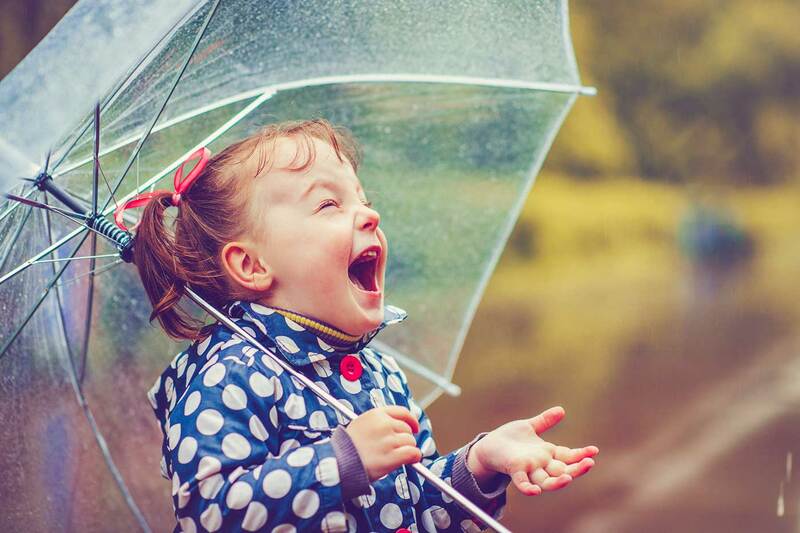 The first one talks about how rain may help cleanse us emotionally. I think a lot of that has to do with its soothing properties. Personally, the sound of rain drops hitting the ground (but especially a body of water like a lake) is very relaxing. Rain also symbolizes many other things including, sorrow, tears, anger, forgiveness, renewal or a fresh start, nourishment, and life. We're all familiar with that saying, "Save it for a rainy day. ", which means to be patient and save something for a gloomy or difficult time in our lives (just in case). This could be an emergency savings account, just in case we lose our job or become ill. I hoped it shall clear. These two short rain poems mention the various properties or uses that rain offers. One of the most obvious is the nourishment that it offers our planet. Without it, life would not exist on earth. With unpredictability, it often acts. When it's sprinkling, it may be enjoyed. It helps our minds regenerate and cleanse. When it's angry, we should hide and protect. We must cherish it, as long as we live. The next poem hints at the fine balance between scarcity and excessive abundance of rain. If there's not enough, it may cause severe drought. Too much rain may cause massive amounts of physical destruction as witnessed during hurricane Katrina. Water has the amazing power to both create and destroy life. We need to respect it, and make sure we use it responsibly, so that future generations will have an abundant supply as well. we pray and we cherish. we're afraid that we'll perish. feeds our souls and our earth. Here's a few rhyming poems about rain written to be enjoyed by all the wonderful children out there. The first poem is for preschoolers. The second rain poem was written for 5-8 year olds, but I'm sure kids of all ages will enjoy it. like they had magical wings. they won't be that dry. they heard a loud roar. Holding hands that were clenched. The next rain poem for kids is meant to be funny, and make children of all ages laugh. with a real fancy umbrella. she hoped it would rain. She made up a song. it was quite fierce and strong. was caught in a drift. She had not even a clue. The next rain poem was submitted by Joyal Paul. Thank you for sharing it with us, Joyal. When writing the following funny rain poem, I was thinking of how funny it looks like when we see people (including ourselves) running frantically to avoid rain. It seems we're simply unwilling to get wet by Mother Nature. unless they're flying a kite. At least it's not sweat. just bring a good comb. Hope you enjoyed reading all of these rain poems and found what you are looking for. I definitely had a blast writing them. Personally, I can't wait until the next rain shower. Maybe I'll go for a jog in the rain, or maybe just read next to the window, and listen to the rain.